I am willing to confess that I have a vise vice. 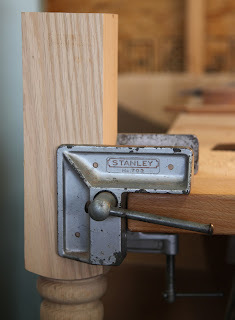 Whether it's used for boring boring, to pare some pear, to plane some plain grain or to beat the guy who keeps making stupid wordplay jokes, a vise is a good tool to have on hand. A vice is one of those tools that you don't often think about until you really need one. You also don't have to take a lone loan to get one (Last one I promise). 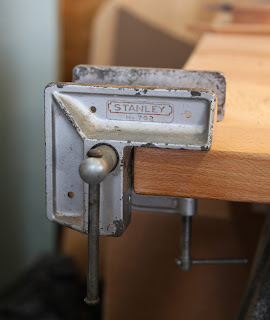 About a year ago I found a Stanley 702 vise on ebay. This thing is extremely useful, versatile, portable and I picked it up for about ten bucks. 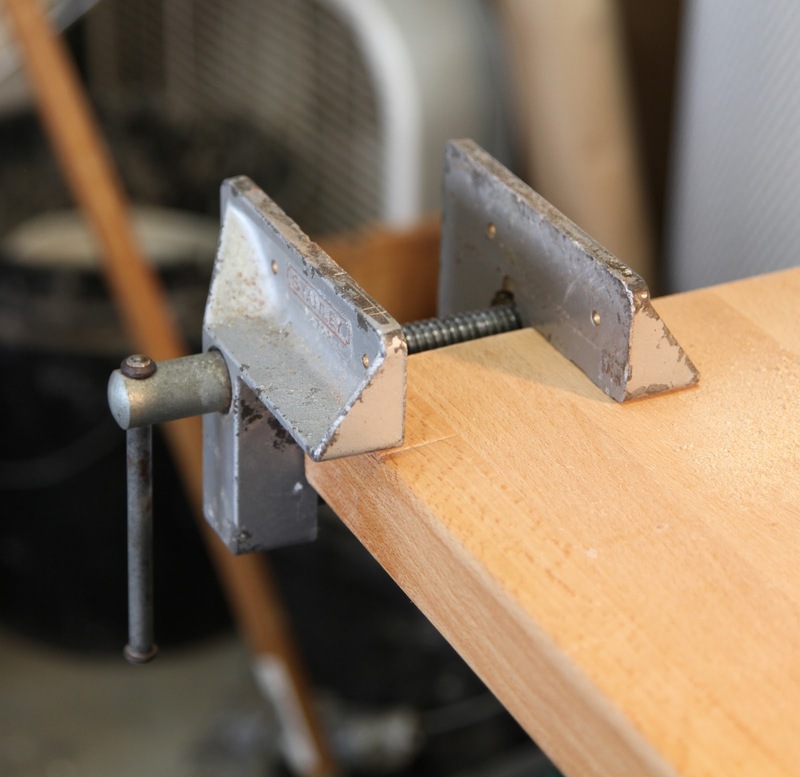 It screws to any bench or tabletop and based on which corner you put it on you can use it left or right handed. It is an L shape so you can clamp vertical or horizontally. I added some self stick cork to the jaws to keep them from marring my work and it also helps grip the workpiece. 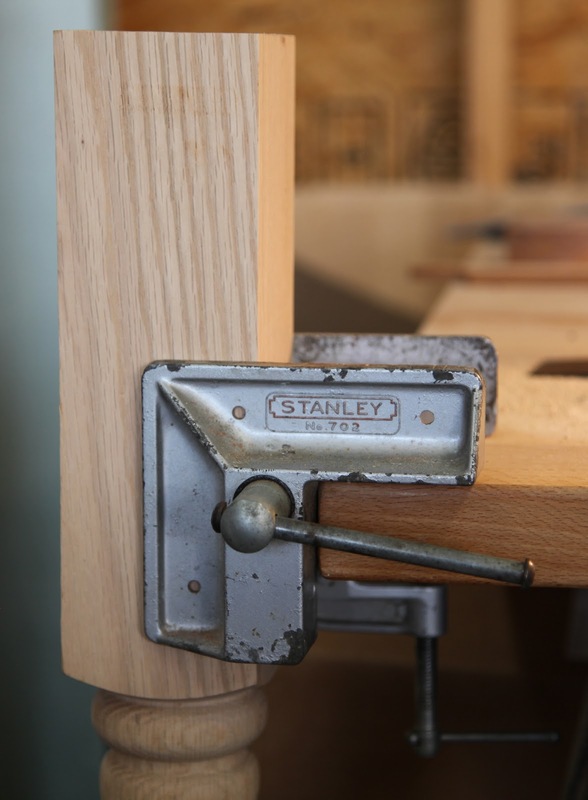 For a future series on the blog I plan to build a Roubo style workbench and I have purchased the Benchcrafted "Glide Leg Vise" and their "Tail Vise." I'll be walking through the installation during the bench construction. These are exceptionally well built, they were shipped promptly and arrived flawless. Now to see if I can actually do enough woodworking to get them installed on a bench!